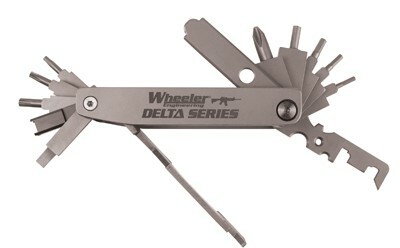 There is no longer a need for a tool box at the range when you have the Wheeler Delta Series Compact Multi-Tool. With a satin finish and stainless steel construction, this tool is not only handy, but durable. 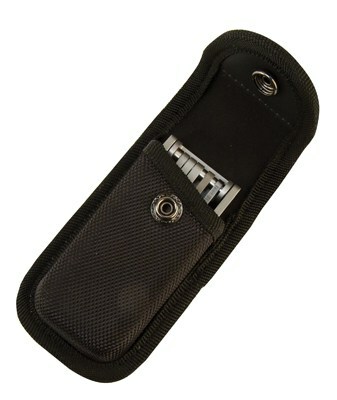 The multi-tool design can be used to perform many different functions in the field or at the range. When you need to make adjustments to your rifle, or scrape some carbon build-up, simply reach down and grab this all in one tool out of the included nylon belt sheath and go to work. After you are finished, snap the tool back in and continue shooting.